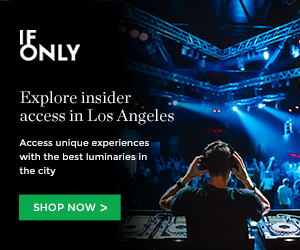 The Fonda Theatre is a great example of Hollywood breaking stereotypes any day of the week. In this occasion, the venue was raging with multigenerational gypsy punk lovers getting down all night long with Gogol Bordello and opening act Lucky Chops. New York-based band Gogol Bordello had a sold-out show with crowds filling up the spot since early in the night to catch all the action. The band had on board for the last six months the high energy New Yorkers Lucky Chops dropping heavy doses of brassy funk for their last performance with Gogol Bordello before the band takes off to Europe. It was an excellent opener playing originals and covers from Arianna Grande to Lipps “Funkytown”. They were not smooth at all, the brass resonated all over like a roar getting the audience going and even had a guest appearance from Gogol Bordello’s guitarist, Boris Pelekh. Pure fire. The wait was not long and Eugene Hütz, frontman of Gogol Bordello began the show like a storm. The mosh pit and crowd surfing went hand-in-hand with the crowd singing along to the band’s material from their latest album Seekers and Finders. Very special guest Russian-American singer Regina Spektor joined the band to perform their collaboration “Walking on the Burning Coal.” The excitement was off the hook when they reached classic “Start Wearing Purple” and to top it off Gypsy Punk King Eugene had to crowd surf on top of a drum! Members of Lucky Chops joined Gogol Bordello lighting up the stage together. Throughout the night there was storytelling, skills on deck and the kind of energy that you had to experience live. This entry was posted in Photo Galleries and tagged farah sosa, Fonda Theatre, gogol Bordello, Gypsies, Hollywood, los angeles, Lucky Chops, photos on March 7, 2018 by FarahSosa.